President | Hearts and Minds Network, Inc.
As a Madison Avenue advertising and marketing veteran, Bill Blackman was successful at increasing clients’ sales and visibility. When he founded Hearts and MindsSM in 1996, he again identified a need and filled it, demonstrating a knack that his professional clients prized highly. However, this time the bottom line had nothing to do with profits. It had everything to do with helping people. A long-time volunteer for the good work of many organizations, Blackman was impressed by the dedication of so many people. Nonetheless, he felt that there was still a real need to get to the root of pressing problems. Hearts & Minds was born out of this frustration. One Sunday afternoon in April 1996, Bill was waiting for pancakes with a friend in a local New York City restaurant. 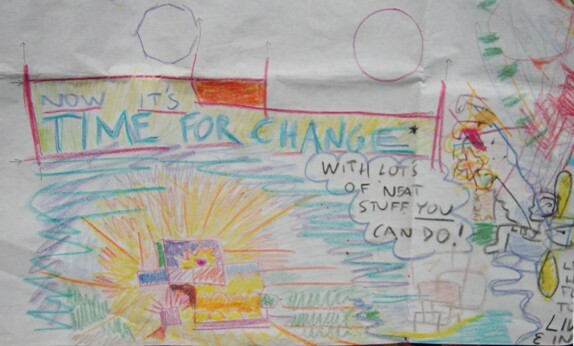 “I wrote the words ‘Time for Change’ on the paper tablecloth – and it was,” says Blackman. Bill’s idea was based on his marketing experience and knowledge of human psychology: The easier it is to learn about and act for personal growth and community improvement, the more people will take necessary steps. He focused his energy and know-how on creating an organization to combat social ill and help as many people as possible. Hearts and Minds started as a nonprofit, public-service organization that addresses poverty, protecting the environment, revitalizing our democracy, overcoming addictions and many other important social issues. Blackman created an Internet-based, information network where people could easily learn about effective ways to create positive change.The website – www.heartsandminds.org – had over 600 articles and links to more than 900 reviews of nonprofits. This provided millions of visitors with inspiration, advice, links and resources to help themselves and others. Since starting Hearts and Minds, hundreds of longer-term volunteers and interns have shared Blackman’s interest in inspiring community involvement and fostering a strong sense of compassion for others. These volunteers are of all ages, races, nationalities and economic backgrounds. Each one gains valuable, vocational experience. In addition to volunteer time, Blackman secured donations for start-up expenses and an office. Thanks to all the donated work, furniture, computers, and more, Hearts & Minds accomplishes many dollars worth of work for each dollar it spends. With this slogan, Hearts and Minds made its key focus helping end extreme global poverty. This is a grassroots public education and advocacy works to empower Americans as they advocate reforms to empower the world’s poorest to lift themselves from extreme hunger and poverty. No other organization has such an ambitious and achievable platform. Bill’s prior experience is useful. A communications professional since 1981, Blackman achieved exceptional results for both small, new ventures and large, well-established organizations. Working for clients as diverse as the AFL-CIO, Encyclopaedia Britannica, General Foods and Time Warner, his experience includes broadcast and print advertising, publicity, sales and direct mail. For example, Bill helped direct the launch of the American Institute of Philanthropy, a watchdog organization now called CharityWatch.org. They promote wise giving to charities. Bill handled a full range of activities, including strategic planning, publicity, copywriting and design. As a result, Blackman helped them obtain substantial funding, membership and coverage in more than 400 newspapers, radio and TV stations nationwide within six months. Prior to college, Bill worked for five years as a farmer and carpenter in Tennessee, North Carolina and Oregon. He has a B.A. in Psychology from Columbia University in NYC and a Bachelor of Applied Science in Construction Technology from Portland Community College in Oregon. Blackman can converse in five languages – English, French, Italian, Portuguese and Spanish. He also speaks some Mandarin Chinese and Haitian Creole. “I enjoy learning about other cultures and using my language skills to help reach people around the world,” he says. Since the 1970s, Bill regularly has volunteered to help the poor and disadvantaged through group and independent efforts. This included working with RESULTS, a national anti-poverty lobbying organization. He also managed a group of volunteers helping publicize UNICEF’s State of the World’s Children report. This promoted immunizing children worldwide against serious but easily prevented diseases. Blackman regularly participated with New York Cares for several years as well. He volunteered for cultural and recreational activities with homeless youngsters, tutoring and soup kitchens. Bill still distributes Hunger Free NYC booklets that list soup kitchens, shelters, counseling and other resources for needy people in Manhattan. Bill has on-going interests in photography, music, art projects and writing. Additionally, he volunteered his time to teach photography and darkroom techniques to disadvantaged junior high school students on the Lower East Side in New York City. One of his students won a citywide Rehabilitation through Photography award. Unrelenting, unsalaried and uncompromising, Blackman built Hearts and Minds into an effective resource. Its website reached millions of people. His passion for positive change reaches more people every day. With this new website, Bill believes even more good is in the works.